Byddi Lee grew up in Armagh and moved to Belfast to study at Queen’s University. She has since lived in South Africa, Canada, California and Paris before returning to live in her hometown, Armagh. She is currently working on a trilogy that starts in Armagh in the near future, where the elderly have suddenly begun to get younger with devastating consequences. 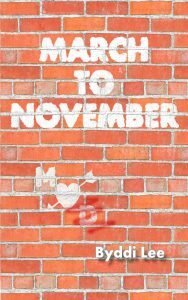 She has published flash fiction, short stories and, in 2014, her novel, March to November. 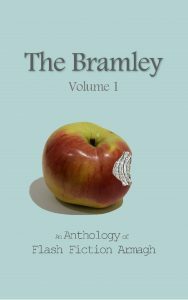 Byddi is a co-founder of the spoken word event Flash Fiction Armagh and is co-editor of The Bramley – An Anthology of Flash Fiction Armagh.